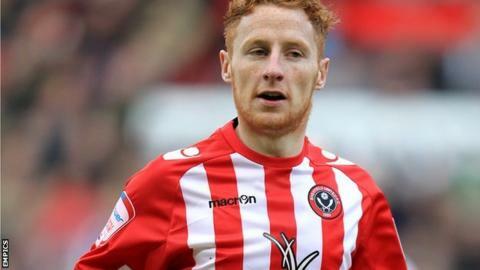 Sheffield United have sold Stephen Quinn to Hull City and allowed Nick Montgomery to leave so he can join Central Coast Mariners. Irish midfielder Quinn, 26, has agreed a three-year deal at the KC Stadium and joins for an undisclosed fee. Montgomery, 30, is the Blades' longest-serving player, having made 400 appearances over 12 years. "This is always something I've always wanted to do," the midfielder told the the Blades website. "After long talks with the family we have decided that this is the right time to take the opportunity. "There were numerous options available, I've turned down other offers and there was an enquiry from the MLS in America. "But both (wife) Josie and I have friends in Australia and this is a chance of a lifetime, an amazing opportunity to experience something new." Quinn is also looking forward to his move, telling BBC Radio Sheffield: "It was hard to leave Sheffield United because I've had some great times there but this is a new chapter. "I've got no regrets about my time with the club, obviously I wasn't everyone's cup of tea but I'd always work my hardest and try and get on the ball. "I hope I did everyone proud and I'm just looking forward to a new start with Hull now."